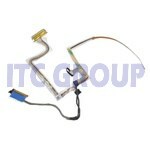 Cable that connects from the back of the LCD screen to the motherboard. Please check you part number to match your screen connection. See the more information tab.